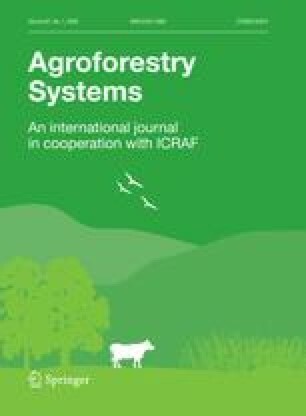 Mixed systems of agriculture incorporating combinations of trees and crops have formed key elements of the landscape of Europe throughout historical times, and many such systems continue to function in the present day. In many cases they represent formerly widespread traditional systems in decline and a number have already become extinct or exist only in a threatened state. The causes are both practical and economic. The agricultural subsidy regime within the European Union is presently unfavourable towards silvoarable practices, which has been a major factor in their recent decline. The silvoarable systems of Europe can be split into two classes according to location – northern Europe and the Mediterranean. The latter contains not only a greater area of silvoarable cultivation, but also a greater diversity of systems due to the broader range of commercial tree and crop species grown. In general, the systems of northern Europe are limited by light, whilst those of the Mediterranean are limited by the availability of water. Mixed systems of agriculture present an opportunity for future European rural development and have the potential to contribute towards the increased sustainability of agriculture and enhancement of biodiversity, whilst preserving landscapes that are both culturally important and aesthetically pleasing. A better understanding of the legacy of traditional silvoarable systems, combined with the formulation of a consistent definition and specific European policy towards them will be invaluable in ensuring that the benefits of mixed agriculture are fully exploited in the future.